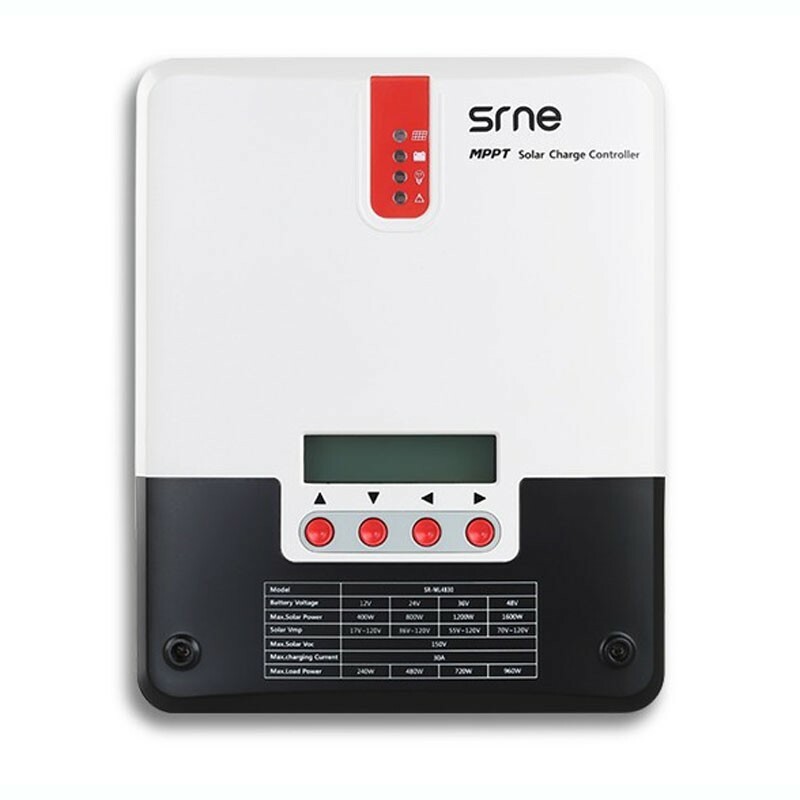 The new SRNE range of solar regulators offers an optimal MPPT tracking efficiency of 99.9% as well as 15-20% higher charge efficiency than a PWM. Advanced dual peak or multiple tip tracking technology. When the panel has a shadow block or part of the panel is damaged, the I-V curve shows several peaks. 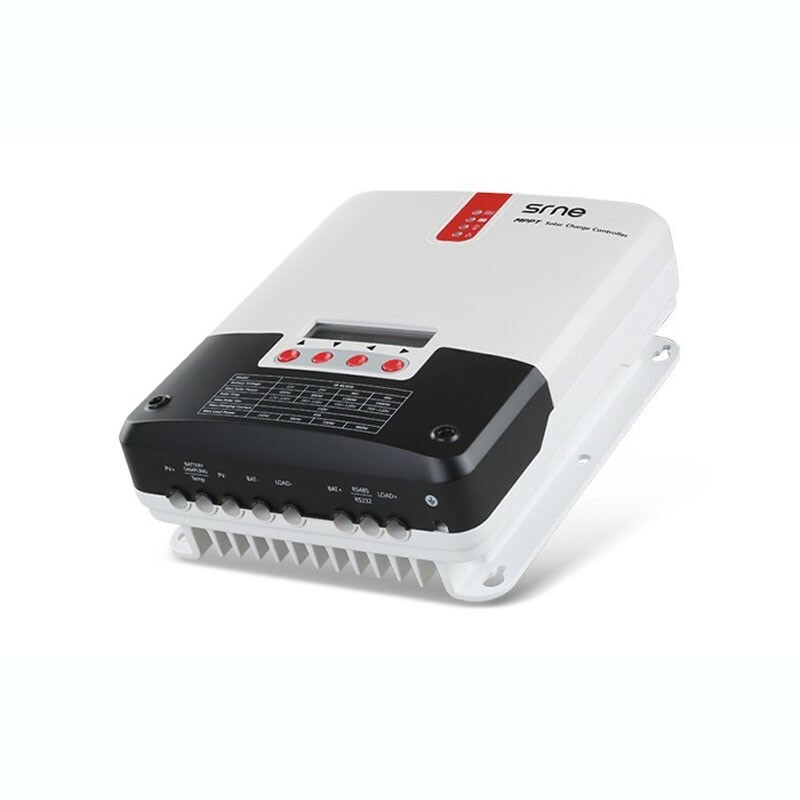 The solar charge controller can always accurately track the maximum power point. Built-in algorithm for maximum power tracking. This significantly increases the energy utilization efficiency of photovoltaic systems, with a 15% to 20% higher charging efficiency than traditional PWM solar charge controllers. Combination of multiple tracking algorithms that accurately track the optimal working point of the I-V curve in a very short time. MPPT tracking efficiency can reach 99.9%. Advanced digital power supply technology, with a circuit energy conversion efficiency as high as 98%. Supports charging procedures for gel batteries, sealed batteries, open batteries, lithium batteries and other types of batteries. Charge mode limiting the current. 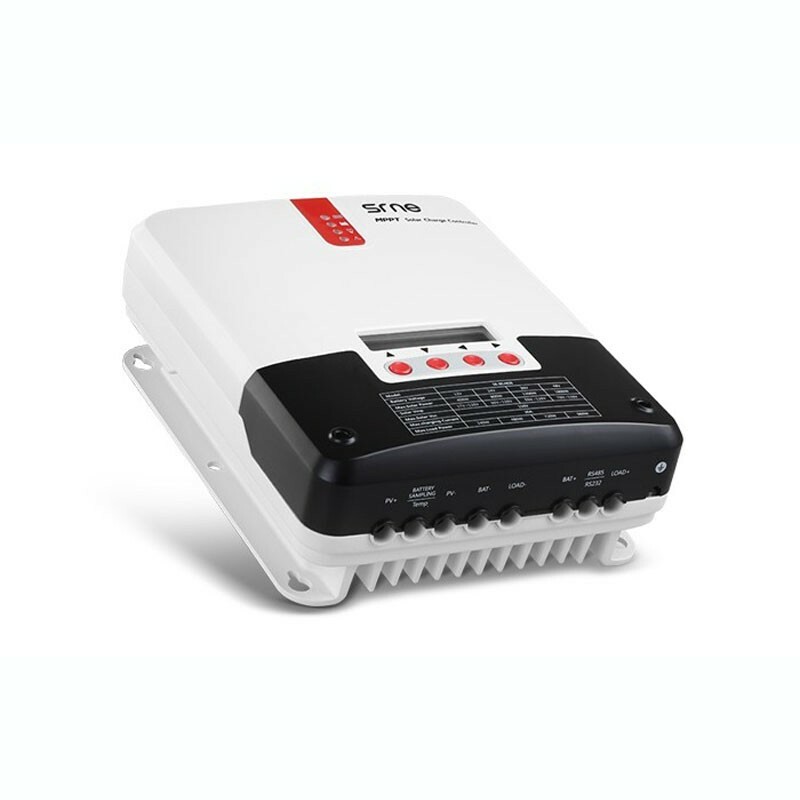 When the power of a solar panel is too great and the charging current is higher than the nominal current, the solar charge controller automatically reduces the charge, so that the solar panel operates at rated load current. Supports the start of the instantaneous capacitive load current. Support for automatic identification of the battery voltage. Indicator LED malfunction, audible alarm and LCD abnormal information. This helps users identify system failures. Storage of historical data up to 5 years. Display function of the LCD screen. The display allows users to view the data and operating status of the equipment and change the controller settings at the same time. Standard Modbus protocol support that meets communication needs on different occasions. Integrated mechanism for protection against overheating. When the temperature exceeds the preset value, the charging current falls linearly with the temperature, slowing down the rise in controller temperature and avoiding controller damage at high temperatures. Sampling function of the external voltage of the battery. This feature prevents line loss from affecting external sampling of battery voltage and ensures greater accuracy of control parameters. Temperature compensation functions. Charging and discharging settings are automatically adjusted, which increases battery life.